I had to go back and check, but last Sunday’s sermon, “He Will Make Straight Your Paths,” on Proverbs 3:1-12, marks the first time in my ten years of pastoring that I’ve preached on Proverbs. Isn’t that unbelievable? As the course and bulk of biblical wisdom, the book of Proverbs remains the model of curriculum for humanity to learn how to live under God and before humankind. As a result, it beckons the church to diligent study and application. To uncommitted you it serves as a stumbling stone, but to committed youth it is a foundation stone. But, tragically, the church has practically discarded the book of Proverbs, which was written for young people as a compass by which to steer their ship of life (see 1:2-6). Of its 930 ancient sayings many Christians know three—to fear the Lord (1:7), to trust him (3:5-6), and to “train their children in the way they should go” (22:6)—and possibly something about the “virtuous wife” (31:10-31). He says that even the little we know of Proverbs is often misunderstood. He goes on to point out reasons that we disregard this book—and in my view he hits on nearly all of them: “Proverbs seems banal or wrong.” Some proverbs seem to contradict one another. They’re a hodgepodge: “How does one preach and teach such a mishmash?” Proverbs “puts a high priority on tradition and age” in a modern era that prizes neither. For some, considering the lessons of Ecclesiastes and Job, Proverbs is seen to “teach a single false doctrine”—that we reap what we sow. Obviously, Waltke—poor guy’s probably devoted his life’s work to this one disregarded and maligned book—wants to set the record straight. I’m happy to let him. As I argued in Sunday’s sermon (which, based on feedback alone, was one of my best), that “single false doctrine” isn’t really false. We do, in general, reap what we sow. Not perfectly. Not in each and every case—as even Proverbs itself recognizes. But it’s generally true. We ought to hope it is! But even if Proverbs is more about “probabilities” than promises, it does promise something that’s like a guarantee: If we could only take its words to heart, we could have shalom—God’s own peace—which is the same thing Jesus promises when he tells us to seek first God’s kingdom and his righteousness and all the things that we would otherwise worry about will be given to us as well. If we believe Jesus, the Word-made-flesh, let’s also believe the inscripturated Word. 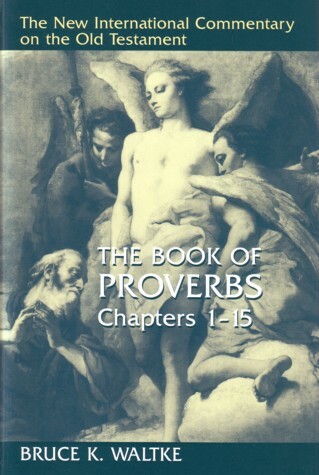 † Bruce Waltke, The Book of Proverbs, Chapters 1–15 (Grand Rapids, MI: Eerdmans, 2004), xxi-xxii. This entry was posted on	January 6, 2015 at 1:35 pm	and is filed under Uncategorized. For the month of January, the Daily Text at seedbed.com is covering a chapter of Proverbs each day. It is my first experience in reading it from beginning to end. My first experience was only about two years ago—sad to say. “Be not deceived, God is not mocked. For whatsoever a man sows, that shall he also reap.” Sounds like Solomon’s message is the NT view as well!